DWKit’s main goal is to help you effectively manage form and business process development time with drag&drop interaction. In our estimation, using DWKit allows you to shorten your first release cycle fourfold and reduce your project Total Cost of Ownership by 30%. Among the highlights of DWKit is that it grants you complete access to the source code (for Ultimate license holders). DWKit helps to bridge the gap between businesses and developers so that both sides could reach their end goals smoother and faster. It allows you to model complex business processes and handle complex business scenarios easily, using your current IT infrastructure. 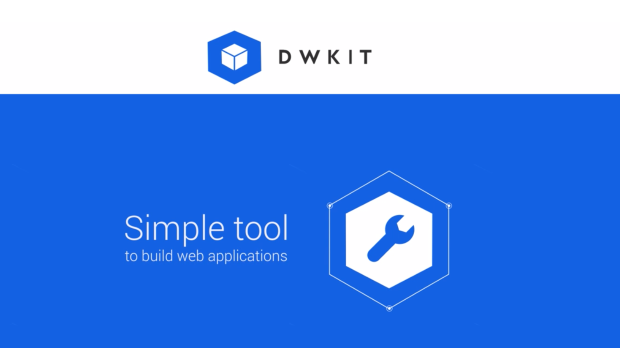 DWKit allows you to make, test, finish, and launch your applications and models in weeks! Your developers can work together on code and separate their tasks through branches and then combine their efforts in one release. With Drag&Drop tools and Admin Panel even inexperienced users will be able to modify system interface and behaviour in web-browser. Forms, Processes and Roles are all available in basic UI. It is as simple as making changes to your web-site through Content Management System (CMS). DWKit includes a set of modules to create business applications: FormBuilder, WorkFlow Designer, Data Layer, Security. We offer full-time technical support and regularly release updates, upgrades and requested features. With DWKit you can modify your project in your favourite IDE (Visual Studio or JetBrains Rider). Unlike many other systems which only allow IDE extensions or their own IDE, you don’t have to install anything to work with DWKit. Just use it like any other project. DWKit allows you to use Debug, Publish, Unit Testing, etc. Get Ready & Get Started! System stores JSON metadata, which can be imported/exported, allowing you to merge changes from different branches. DWKit has a web-form builder based on React. It supports a set of controls for building neat, yet complex enterprise applications. You can easily integrate your own React-component to DWKit front-end. DWKit has an in-built lightweight workflow engine with an HTML5 designer, that enables you easily add versioned workflows of any complexity to your model. DWKit allows you to integrate with your IT infrastructure or third-party software via its RESTful API, providing a separate controller for GET, POST and DELETE methods. DWKit is unique: it is the most technologically advanced and efficient solution of its kind in the market! DWKit system does not have any legacy code, which makes it fast and easy to use.